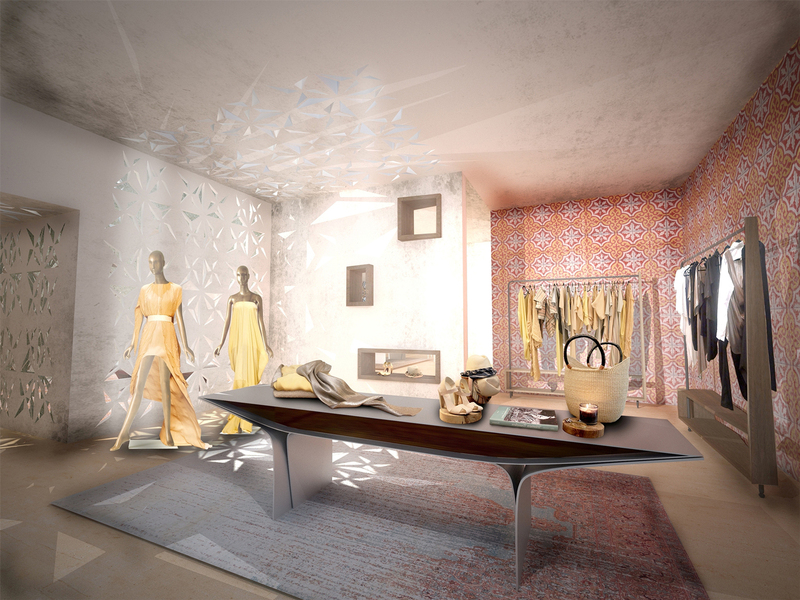 The design for the Tia Cibani Womens Fashion stores is inspired by themes, textures, patterns and lighting conditions derived from the northern African heritage of the clothing designers birthplace. 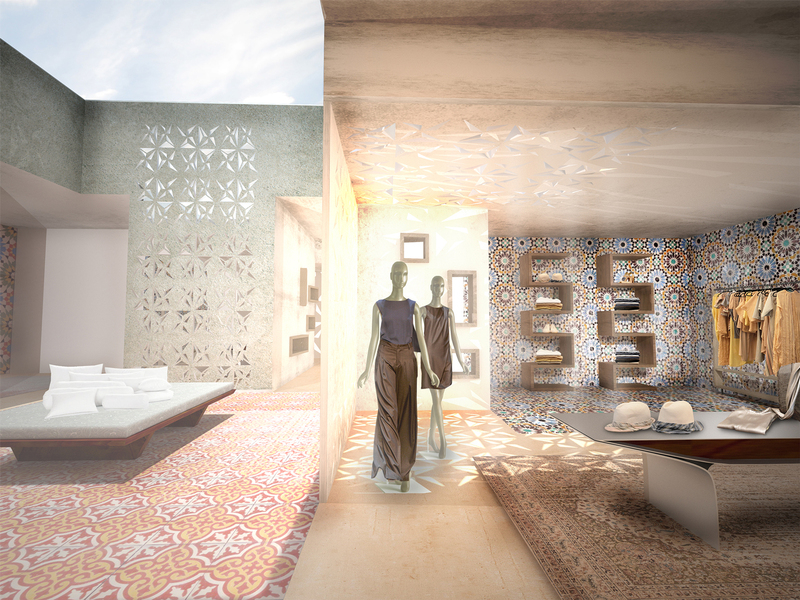 The plan is based on a traditional bazaar or souk, wherein the carpet squares are overlaid to create a mosaic. The individual squares are extruded into a series of varying height volumes overlapping each other. 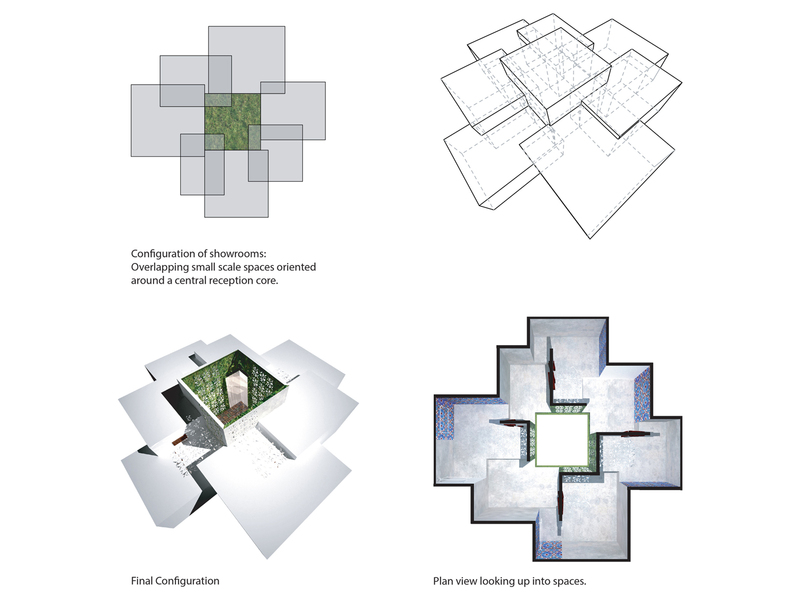 The result is a retail environment comprised of a series of intimate spaces oriented around a top-lit central courtyard for rest and reflection. 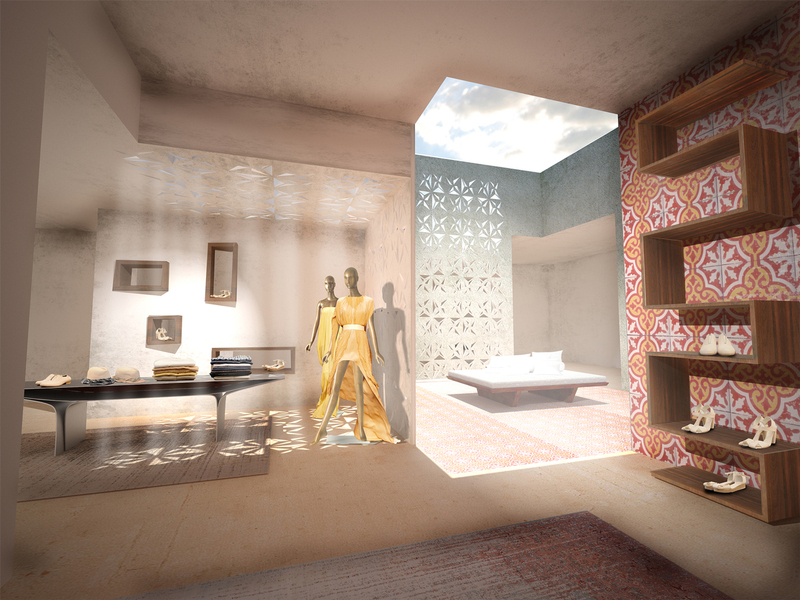 The perforated openings in the walls and ceilings are a translation of arabesque pattern, bringing diffuse light into the spaces. 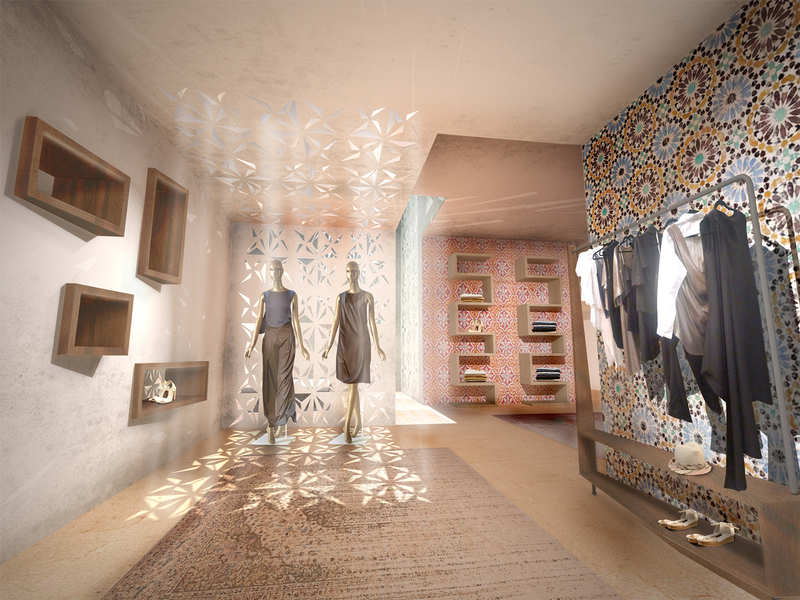 The display shelves and tiled walls further support the theme of a series of patterned surfaces unfolding throughout the spaces.